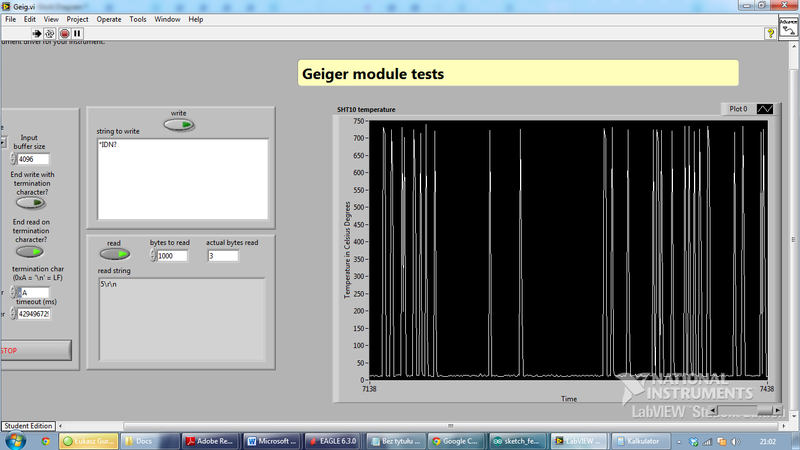 We have already done our Geiger counter. Ionizing radiation sensor is one of the most important sensors in our CanSat. 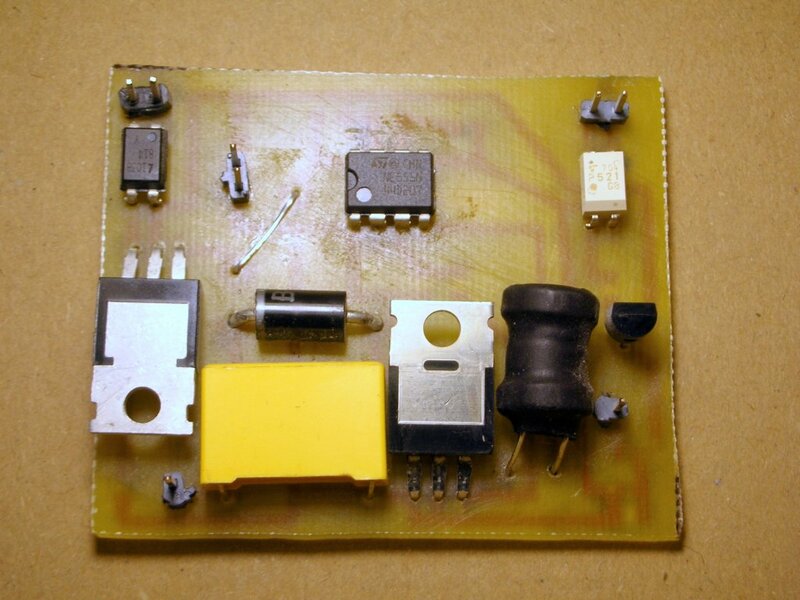 It should be solid and built carefully due to fact that Geiger counter needs a high voltage power supply. On the other hand, to amplify very weak signals from Geiger tube, sensitive transistor must be used. High concentration of water vapor can cause short circuits and it can carry an electric charge. The picture below is showing final electronic scheme. 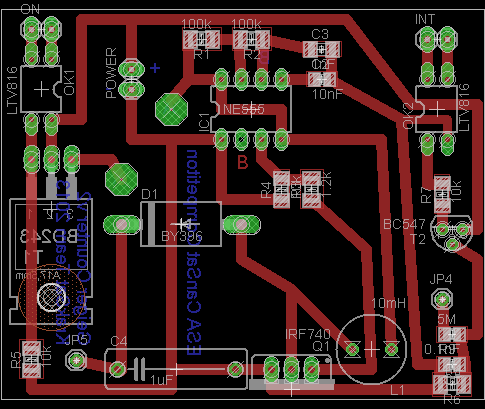 Boost converter and amplifier for our Geiger tube. Geiger tube leaned against the can. 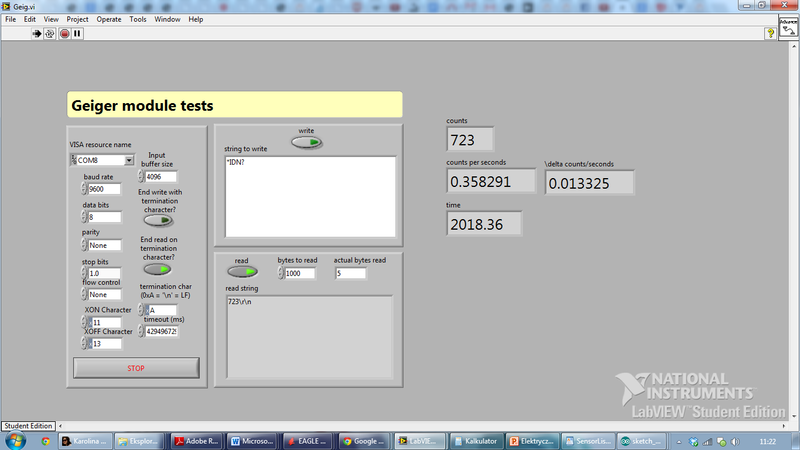 We have created two pieces of test software in NI LabView. 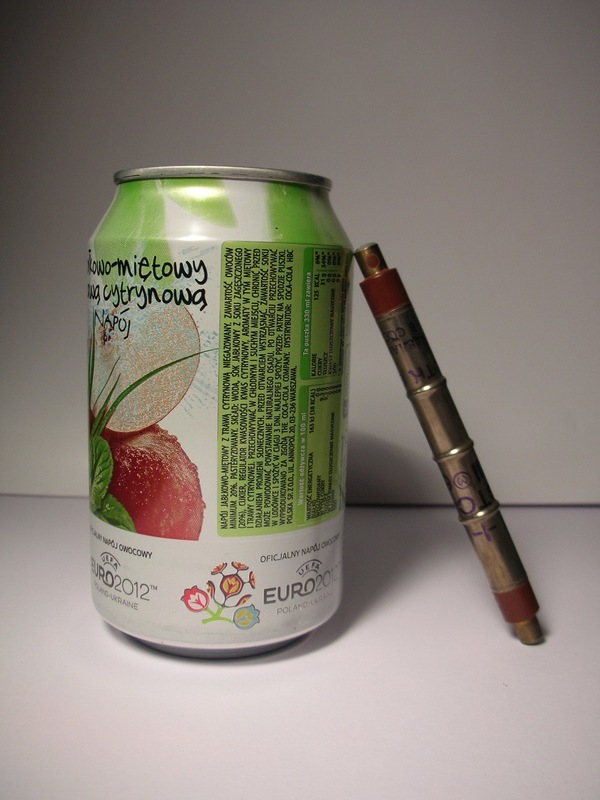 The first application can show current level of radiation, measurement error, and counts how long an experiment lasts. The second application shows signal from Geiger tubes – each vertical peak in the plot represents one elementary particle.